Every December, I choose a one-word theme to guide me through the coming 365/6 days. Last year’s word was FORZA, and, whooboy, was I ever right that I would need some strength. 2015 was tough, challenging on several levels with still some loose ends to wrap up, wounds to heal, sleep to catch up on (I know, I know . . . someday she’ll be a teenager and I won’t be able to wake her!). And with a face like this, well . . . BUT I’m still here and ready to fight another day . 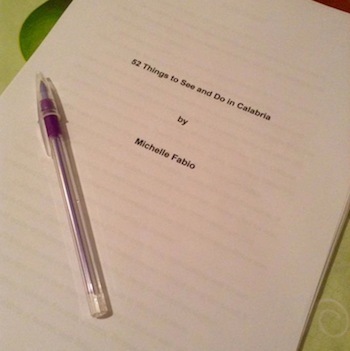 . . AND I even completed the manuscript for a new guidebook, 52 Things to See in Calabria, which will be published later this year by Gemelli Press. I also picked up several new freelance writing and editing clients, which ain’t half bad considering how little time I have to work with a terrific toddler in tow, twenty-four/seven. On the personal side, I strengthened a few friendships and, of course, spent lots and lots and LOTS of time bonding with my little girl, which is absolutely my greatest accomplishment — particularly since some days all I wanted to do was hide under the covers with some cookies and cappuccino. Not that she would really have minded, so long as I invited her too. But I digress. Looking forward to 2016, I juggled a few words in my head as contenders for the one-word theme. Joy. Love. Peace. Kindness. Hope. Although they are all great words, especially in this ever-chaotic and oft-depressing world, none were really connecting with me the way my previous one-word themes had. As the new year quickly approached and I still didn’t have a word, I should have known to look to the kid for inspiration. On New Year’s Eve, Marisa did something that she’s been doing for a couple weeks now but since my “one word” was on my mind, it hit me like a cold splash of water in the face. Hmm . . . but could I really carry it through as a theme? Sure I want the world to be a GOOD place for her and she is pretty much GOODness incarnate (and even looks like she might be dancing on the GOOD Ship Lollipop in that photo above), but but but . . . In other words: Look for the GOOD. Find the GOOD. 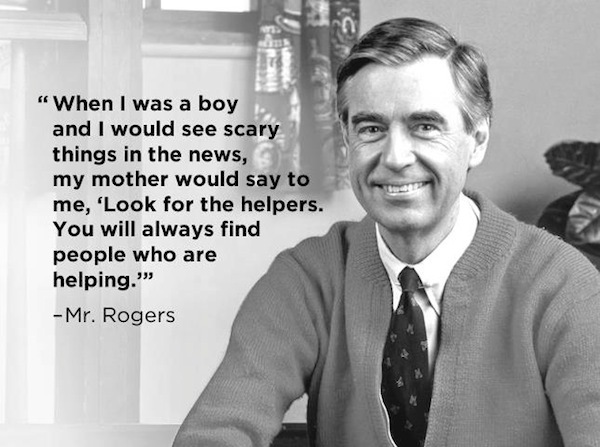 And, of course, looking for the GOOD is not limited to times of tragedies and “scary things.” This is something we can practice every single day. I’ve kept a gratitude journal in the past, but this year I’m doing a GOOD jar. This is also known as a Happiness Jar c/o Elizabeth Gilbert, but for my purposes, it’s a GOOD jar. The concept is that each night, you write down the happy/best moment of the day on a slip of paper and put it in the jar. You can start whenever you like and dump it out and read them at any time, too, but many people like to start in the beginning of the year and then read them all at the end of the year. Thoroughly pleased with my one-word theme and already composing a blog post in my head, I clicked onto Facebook. 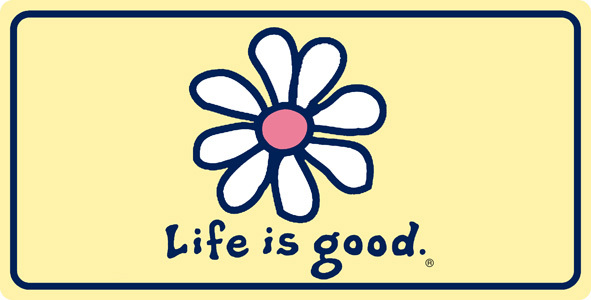 In my News Feed was an article about Bert and John Jacobs, founders of the Life is Good company. So this year, for me, it’s all about the GOOD. FIND the good. SEE the good. BE the good. Do you have a one-word theme for 2016? Ciao Pam! Thanks so much — it’s great to “see” you around 🙂 I hope you and Cliff are doing well and that 2016 is truly magical for you! When your grown, she will continue to be in awe and see the good in life. As any child she will only look to help and do good, and you will never grow old! Love this post. Thank you very much. Looking forward to the new book. Congrats! Thanks so much, Debbie! And happy 2016 to you! Yes! I’m only a couple days into it, but I love it already. It really makes you stop and think about your day, good and not-so-good…but it’s all good haha 😉 Thanks for your continued support, Lee, and happy travels! What a fantastic idea and I like the concept behind a happiness jar, I might incorporate that at home too because perhaps later down in life, it would be nice to look at those memories during tough times. Congrats on the new book, I’d love to check it out! Loved this post – I was just thinking the other day that I have so enjoyed reading your blog over the last few years ever since I innocently googled “Calabria” and came across it. Your words always hit the ‘spot!’ And of course now sharing pictures of your adorable little girl – well, I just say ‘thank you’… And perhaps this is my word for 2016 – ‘thankfulness’ for all that is GOOD. Aw thank you, Kathleen! Thankfulness is an awesome word…plays well with “good” 😉 Buon anno! Good for you:-) Marisa looks so sweet, treasure these times with her, it passes by so fast! And good luck with the book, it’s a great idea! Thanks Nicki! 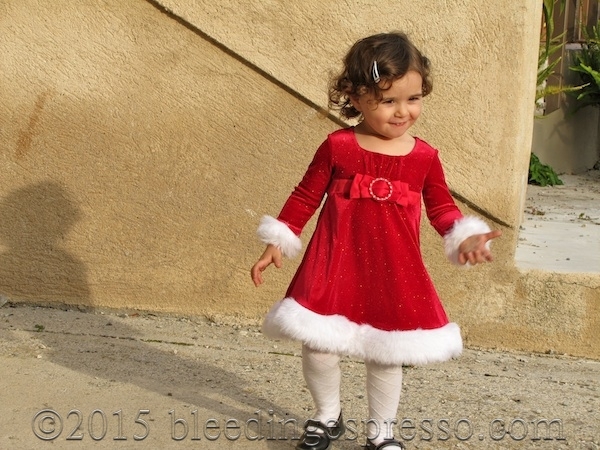 Marisa is absolutely a joy as well as a royal pain in the arse…pretty much a toddler haha 😉 Buon anno! Ooh those are excellent words, Marsha, with wonderful thought and intention behind them. Thank you for the kind words regarding my daughter and thanks for coming by and sharing. Buon 2016!